Indian wireless operators lead with video, US operators to follow? US wireless operators are using video as a lure to get new customers. But India’s wireless operators have taken the next step and could tell us where AT&T and Verizon are headed next. By 2018, India will have over 530 million smartphone users, more than double the number of users in the United States (229 million). This is a big jump from the 300+ million smartphone users in India today. The growth comes from the 650 million non-smartphone mobile users, of which roughly 2/3 plan to upgrade next year. In India, the rise of the smartphone is synonymous with the growth in internet access. Most Indians do not have broadband. They primarily gain access to the Internet through mobile connections. Currently, internet penetration in India is 31%. The expected growth in smartphone users will push that much higher by the end of next year. Smartphone usage has brought about a new way of consuming content. Young Indians now spend 28 hours a week on their mobile phone, almost half of which is spent watching video. For them, mobile is the primary video platform, as they only watch for four hours a week television. The US is also seeing a massive growth in mobile video usage and could be headed the same way as India. The rise of mobile video consumption has caught the attention of some of India’s biggest companies. Reliance Jio, an Indian mobile network operator, has confirmed a deal with Roy Kapur films to create original digital content in India. Reliance Jio is one of the first wireless operators to launch 4G network capabilities and is leveraging that network to be an early mover in wireless OTT video services. Roy Kapur films can help Reliance Jio attract the rural Indian audience. The original, exclusive, premium video delivered in the local languages could be a big differentiator from other services that primarily provide English speaking content. The majority of video viewed on Indian OTT services is advertising supported. This is not just for revenue reasons, but also to address problems faced by the industry. Rampant piracy allows users access to paid content for free very easily. This harms the content creator who, of course, does not get paid. The mobile operator, on the other hand, still makes money because the user must pay for data to view the pirated video. Measurable return on investment is also an issue for content producers. They cannot be sure of how well a show or service is performing because of untrustworthy data reporting. There is also a concern as to how many consumers are willing to pay for content at all. Finally, ad fraud and brand safety are big concerns. 15% of all mobile ads are for fraudulent products or services, 31.5% higher than global ad fraud rates. This is a big concern for brands looking to come into the OTT market. The lack of reliable data makes it difficult to identify fraudulent ads and even tougher to stop them. With growing demand for smartphones, the popularity of video on mobile, and the issues facing other OTT companies in entering the market, India’s future will be greatly influenced by its mobile network providers. Roy Kapur films can help the wireless providers grow. US wireless operators also face many of the same challenges, including competitive markets and the growing importance of mobile video. 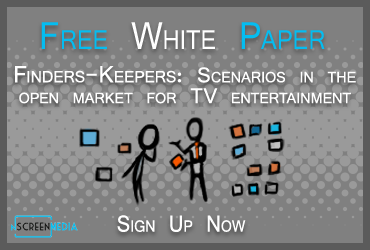 They are currently focused on licensing and leverage television content to help them grow their subscriber base. Could we see them taking the same approach as Indian wireless operators and create new exclusive video originals? YouTube doesn’t keep its promises, but does it matter?